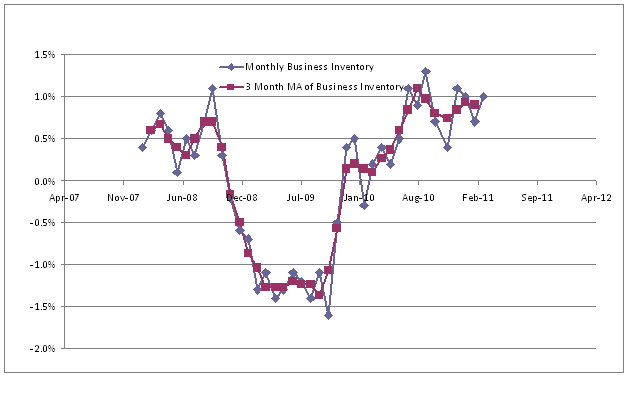 The business inventory continued to expand in March with about 1% growth rate. This spells a heathy economic growth during that period of time. But as I have said many times, this growth is powered by the inventory, not by the consumer demands. 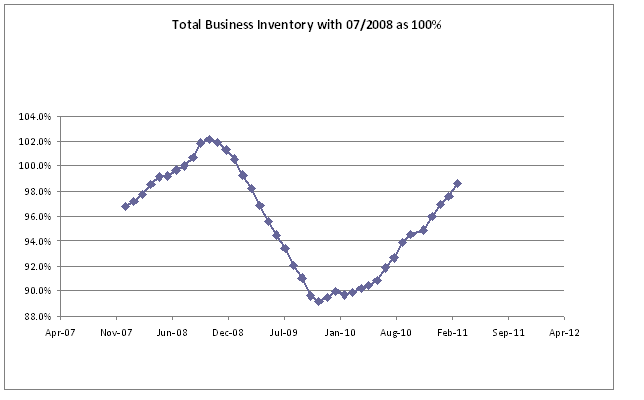 we can further relate this inventory growth to the QE2. It is the QE2 that is behind this non-consumer driven economy. This entry was posted in Economy and tagged Business Inventory, Consumer Demand, Hui Zhong, QE2. Bookmark the permalink.